Enjoy the warm sensations of the summer sun in one of MicroGamings hottest slots – Sun Tide! A classic slot at first glance, but modern day features and design await. 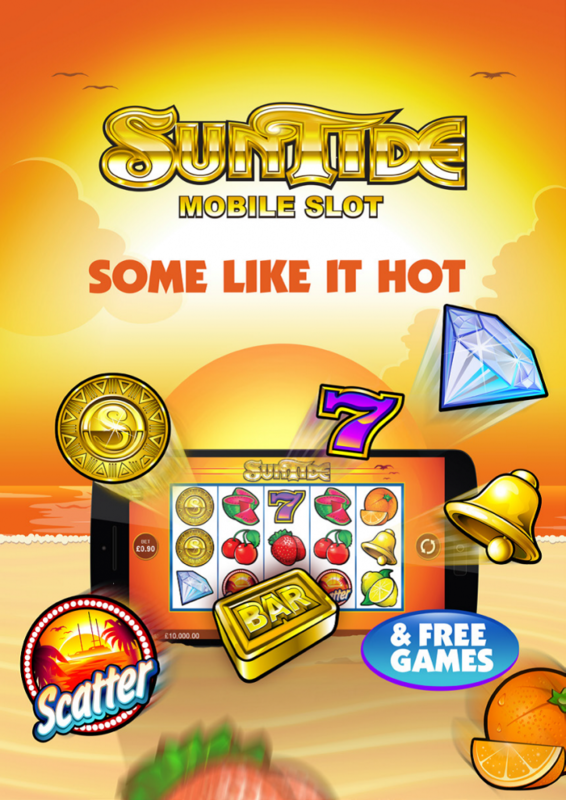 Online casinos are buzzing with players raving about how amazing Sun Tide looks. Appealing to both classic slot lovers and those who enjoy bonus heavy elements found in today’s slot machines. 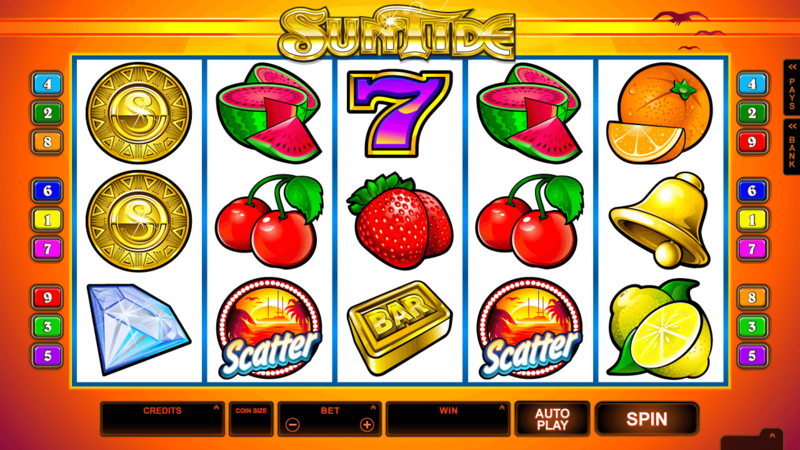 Sun Tide is a 5-reel slot with nine pay lines. Some of the symbols such as the cherries, Bar symbols and other Bells are what give Sun Tide its fruit slot elements. But expanding wilds, free spins and a 75,000 maximum coin payout are what give it its futuristic flair. An expanding wild gold coin will show up on all five reels. But, when it lands on reel three during regular gameplay, it will expand to help produce a winning combination. 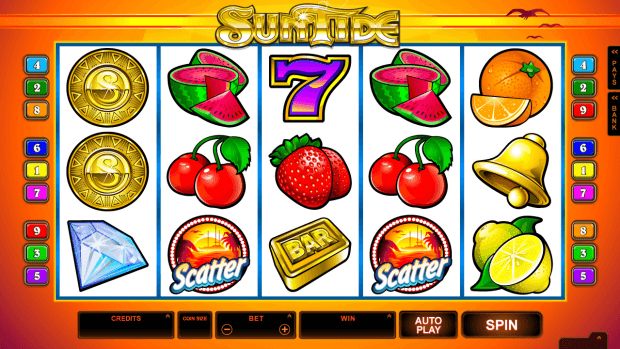 The best-looking symbol of any slot you will see is the Sun Tide scatter symbol. A beautiful sunset on the beach is a fitting symbol to wick you away to the free spins when 3 or more of these scatters paper anywhere on the reels. During the free spin bonus round, you are given 15 free spins. Expanding wilds will now show up on reels 2, 3 and 4 as well. Sun Tide is suitable for all levels of slot players with its minimum bet of just 0.01. The best part is you can literally play Sun Tide while sitting on the beach as it is available as a mobile slot. OR, you can play at online casinos like Captain Cooks, or Zodiac Casino using the no download, instant play version from a PC or Mac. With a catchy soundtrack that is reminiscent of and 80s synthesizer, Sun Tide is just what you need to get you away from those winter blues.